Last night, as the Lawrence brothers closed their very own inaugural Wild Life Festival, Disclosure confirmed details of their new album ‘Caracal’. After a weekend of teasers of the wild cat image cropping up across online and onsite at Parklife and Wild Life – the image of the caracal, adorned with the disclosure logo on its face, loomed large across screens either side of the main stage on Sunday night. Just prior to Guy and Howard taking to the main stag a short video set to the backdrop of new single ‘Holding On’ featuring Gregory Porter confirmed the album title, release date and hinted a just a few of the collaborators due to appear on the new record. Lion abe, Nao and Kwabs joined Disclosure live on stage at both Parklife and Wild Life to showcase their features on the forthcoming album for the first time. We were also treated to new album track called ‘Jaded’, which features on vocals. Watch closely over the coming weeks for further reveals on other exciting names appearing on ‘Caracal’. 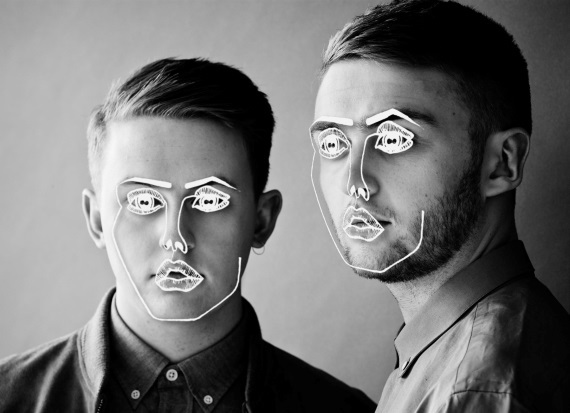 Having recently given us club track ‘Bang That’ and new single ‘Holding On’ featuring Gregory Porter in short succession, this latest announcement only heightens the excitement amassing around this second album from Disclosure. ‘Holding On’ entered the iTunes top 15 within 24 hours of going live and hit over 1 million streams in just 48 hours of launching. The single impacts on July 17th. Their debut album ‘Settle was released in 2013 and set a new precedent for UK house music. Many have tried to match the impact these two young brothers had with the album record they recorded i their home studio in Surrey, but few have hieve similar the successes. On its release ‘Settle’ beat QOTSA and knocked Daft Punk off the top spot to going straight to #1 in the UK album charts. It has since sold 1.6 million copies worldwide. Huge singles taken from ‘Settle’ included ‘Latch’ featuring and launching the career of Sam Smith,' White Noise’, ‘You & Me’ and ‘F For You’– all of which contributed to their 1.8 million single sales in the UK, 5.3 million globally and a staggering 415 million record streams accumulated since their inception. a long-­legged reddish-­brown nocturnal cat (Felis caracal syn. Lynx caracal) of savannas in Africa and parts of Asia that has long pointed ears with a tuft of black hairs at the tip.